The Tyrol region of Austria is home to the Kaunertal Glacier Road. In 16miles the road winds up through 29 hairpin bends to the tongue of the Weisseeferner Glacier at an altitude of 2750m (9022ft). The alpine scenery is breathtaking with surrounding peaks well in excess of 3000m (10000ft) the glaciers form the largest single glacial area in the Eastern Alps. 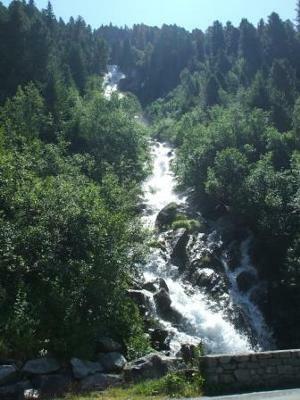 There are streams flowing down the mountainsides everywhere and I have included photos of 4 that I could find the names of. 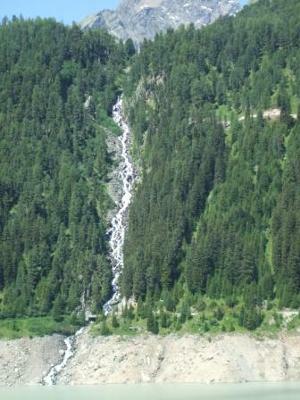 The Wurmetalbach waterfall is 140m (459ft) and is easily viewed from the side of the road as is the Bliggbach. 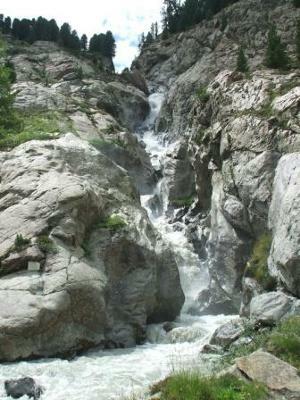 The Rifflbach stream carries the melt water of 3 glaciers and although not very broad it is powerful. 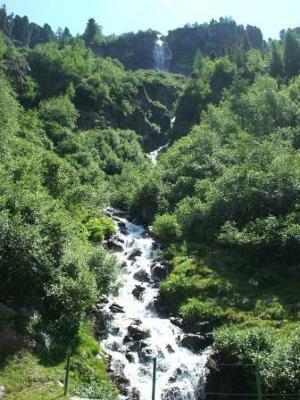 There are 2 short walks at different points on the road to view the various falls as the stream makes its way down the mountain. The Kaiserbergtalbach is also easily viewed from the road. All of these streams empty into the Gepatsch Reservoir, whose 160m rubble wall is the highest of that construction in Europe.